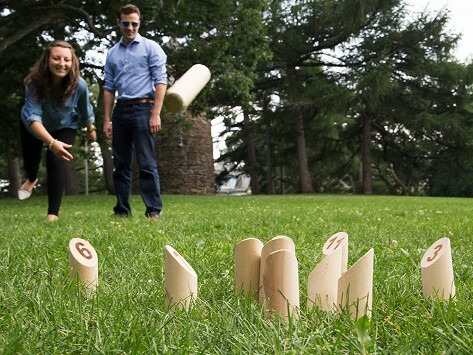 Mölkky is a simple, but slyly strategic, outdoor skittles game similar to lawn bowling. It’s easy to learn, and can be played virtually anywhere. The game pieces are made in Finland using wood responsibly sourced from local forests. Dimensions: 12.99" x 9.06" x 7.48"
lot's of fun in the back yard and at large park events! 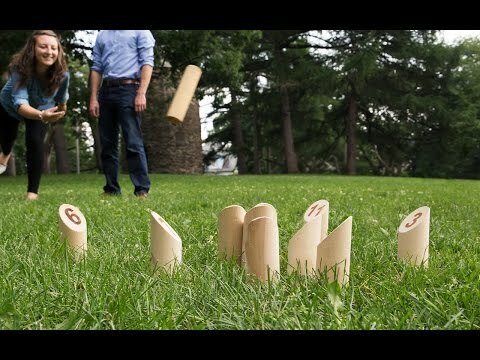 Fun game to play with family & friends! When you’re done playing, simply wipe off mud and scuffs with a damp rag and Mölkky is looking sharp for next time. It’s fun from start to . . . Finnish.